Sprint has lagged behind its competitors in a dismal fourth place for quite a while and it appears that it’s getting desperate. Though the company isn’t advertising the offer, Sprint is willing to give Verizon customers a free year of service for abandoning the network. According to Bloomberg, Sprint has been targeting Verizon customers through online promotions and emails rather than doing a media push for the deal. 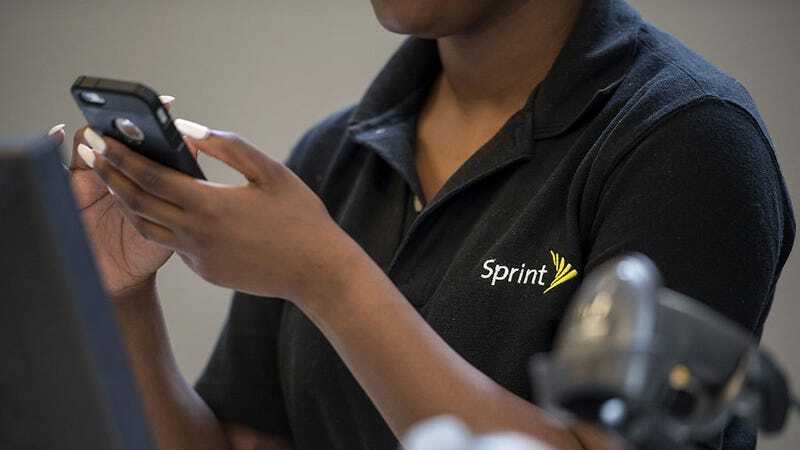 A Sprint spokesman confirmed that customers can receive up to five lines with unlimited data if they meet certain criteria. Applicants must be Verizon subscribers, they must bring in their own unlocked phone, they have to buy a Sprint SIM card for each line, and they have to sign up for AutoPay. There’s also $2.41 in monthly fees because phone companies always charge fees. Sprint currently has the cheapest unlimited data package for new customers, charging $50 a month for a single line. But it also has the lowest customer satisfaction rating according to J.D. Power. With the company sitting on $40 billion in debt, it needs to do something drastic. It appears to be confident that its service has improved enough that customers will stick around after that first year. No contract is required. If someone wants to switch back to Verizon or another company after July 31, 2018, they are welcome to do so. The offer runs until June 30th this year. David Tovar, Sprint’s senior vice president of corporate communications, tells USA Today that his marketing team is just testing the waters. “We’re trying to get people to stop and consider Sprint,” he says. It’s an interesting strategy. Many people sign new contracts to get an upgraded phone, but the technological leap between phone generations isn’t as noticeable these days. There are surely plenty of people who’d stick with their current smartphone for a free year of service. But with a big picture perspective, this deal could also backfire. Bloomberg points out that Sprint’s parent company SoftBank has been feeling out T-Mobile’s parent company and is interested in a possible merger. If regulators believe that the current marketplace is creating the kind of competition that literally drives prices to zero dollars, they might decide that a merger is out of the question. If giving people a free year of service kills a giant corporate merger, consider this my favorite data plan ever.